Well, we could be salmon fishing in Connecticut in as little as month from now. Let's hope the weather cooperates. In the meantime, I am getting my fly boxes together, oiling my reels, and making sure all my ferrules are clean. Also, I am going to disinfect my boots and waders, so as not to spread any harmful aquatic species, such as didymo. I suggest you do the same! For the past few years, I have kept a small inventory of salmon flies in stock for the CT broodstock season. Because of the time it took to write my forthcoming ebook, I didn't have a chance to replenish my stock this summer. I will still take orders, though it won't be as easy as adding them to your PayPal cart from my website. 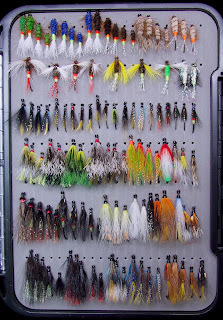 In the next week or so, I will post pics of flies and prices in the Fly Shop page on my site. 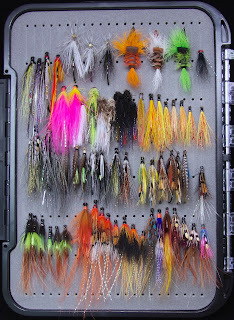 If you are interested in buying flies for the upcoming season, just send me an email. Let me know which flies you'd like, the sizes, and the quantity of each. If you need help choosing flies, I would be glad to offer suggestions. If possible, get to me early for the fastest service. Once fall gets rolling, I will be fishing, guiding, and doing a lot of performing and recording sessions. The book is pretty much done. It is being proofread and edited now. After that, I need to submit it to online vendors, which shouldn't take long. 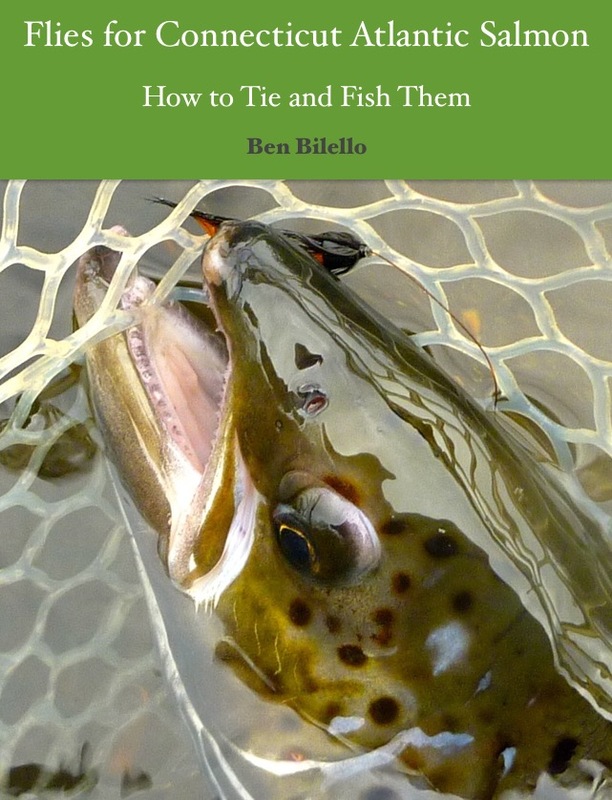 I'm aiming for a release date around the first or second week of September, which should coincide well with the upcoming salmon season. I'll be posting more updates as it gets closer to launch, so check back often. Still missing Sugerman Shrimps, size 10. Time to get on it! 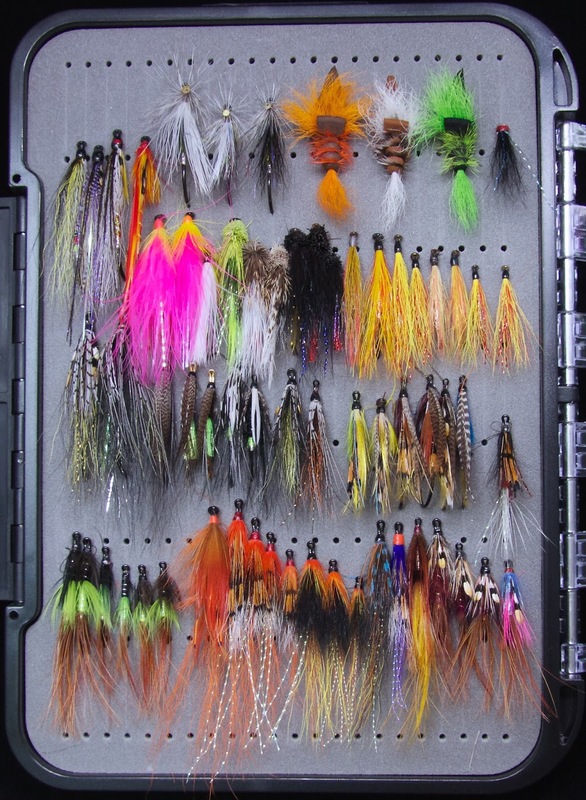 Nothing' prettier then a freshly filled salmon fly box, other than the salmon itself of course.